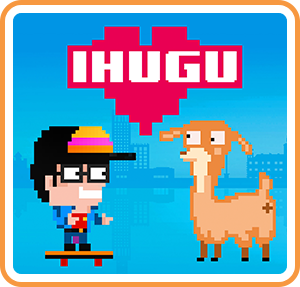 From Kool2Play studios comes iHUGu (I hug you) is a new Indy game on Nintendo Switch. At it's base this is a simple memory game. You start off by choosing your character. Which you can also customize. You are then faced by a queue of people you have to hug, however if you hug the same person twice you lose. It really is that simple. If you are a fan of memory games then this is good fun. And there really is quite the challenge once you have hugged more than 10 people and you start to question yourself. There is a time limit for each hug, and there are also other power ups you can collect. It even has multiplayer, whereby you are both on screen together, and that does bring in more of a challenge. And a quick mention has to be given to the soundtrack. You will find yourself humming the songs hours after you have put down the game.